Between the Prius and the Prius Plug-in models, very very little has changed – at least that’s visible. All the difference is under the hood. As far as the Entune infotainment system is concerned, every Prius Plug-in will come with one. 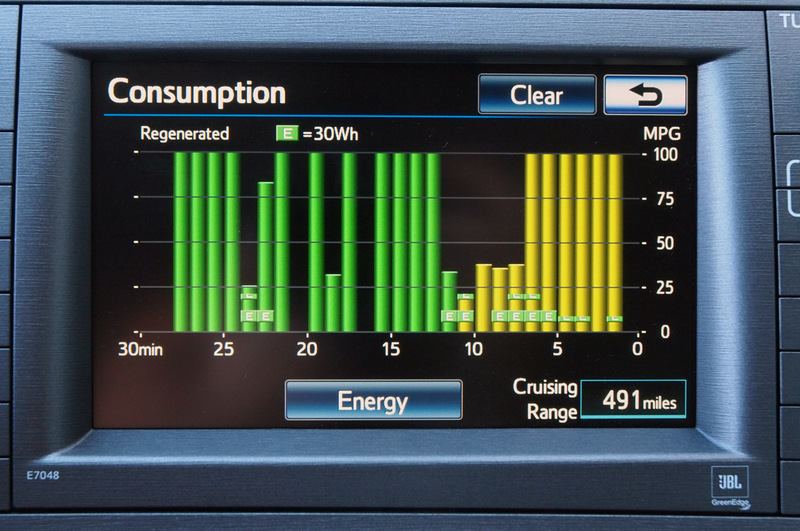 Toyota’s Entune system is where car and cell phone begin to merge. Entune provides access to Pandora, iHeartRadio, Bing, Movie Tickets and OpenTable. If you buy a Prius Plug-in with the advanced trim level, it’ll come pre-installed with plug-in specific apps already loaded: Charge Management, Remote Air Conditioning System, Charging Station Map, Vehicle Finder, and the Eco Dashboard. There’s also the ability to log into XM Stocks from the Prius’ Toyota Entune system. Toyota is forecasting 15,000 sales of the Prius Plug-in in the first full year which means a lot of people will have access to the Toyota Entune system!